NEW! Visit mEyeFi's gallery of Steve Cohn's visual art. 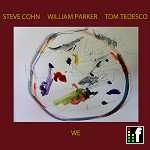 The music of pianist and shakuhachi player Steve Cohn has continually and dramatically evolved. A native of San Francisco, he performed as a blues pianist in Los Angeles, where he began studying the shakuhachi flute at UCLA. He then spent two years in Japan returning to study at San Francisco State University where he worked with Pulitzer Prize Winner, Wayne Peterson, and also appeared as a jazz pianist performing with musicians such as Eddie Henderson, and Sonny Simmons. Ultimately he moved to New York where he has devoted himself to totally improvised music, combining unconventional use of non-western winds and percussion with a unique piano style. 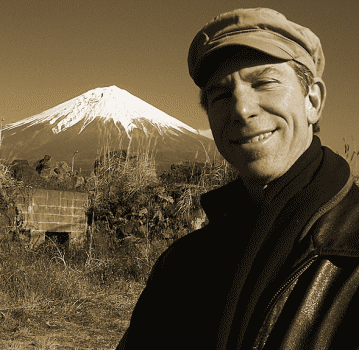 Cohn has performed his own works in venues including New York City's Miller Theatre, New Works October Series, Fiesta International USSR, the Newport JVC Festival, Sweet Basil, The Great American Music Hall, World Shakuhachi Festival 1998, the Ottawa Festival; appeared in multimedia performances with Japanese Taiko drummers and the Elinor Coleman Dance Ensemble. He was also commissioned to compose and perform an original work that premiered with the Watanabe Dance Company in Japan. Cohn has performed and recorded with musicians including Reggie Workman, Jason Huang, Tom Varner, Fred Hopkins, Karl Berger, Oliver Lake, William Parker and Bob Stewart. He has conducted master classes (including the Paris National Conservatory) and has received grants from Arts International, Meet the Composer, and the New Jersey State Council on the Arts. Two of his recordings, SUFI DANCERSand ITTEKIMASU, received four star ratings in Downbeat Magazine and placed on the list of top ten releases in Cadence Magazine. THE BEGGAR AND THE ROBOT IN DIAMONDS was also chosen on the "Top Ten List of 1997" by Tracking Angle. His recent recordings, BRIDGE OVER THE X-STREAM and THE BLAIR RECORDINGS have already received much acclaim.